With Carlos Fico, Robert Bentley, James Green, Peter Kornbluh, Plinio de Arruda Sampaio, Denise Assis, Jarbas Passarinho, Julio de Sa Bierrenbach, Newton Cruz, Hernani Fittipaldi, Ivan Cavalcanti Proenca, Laurita Mourao, Rui Moreira Lima, Clodsmith Riani. 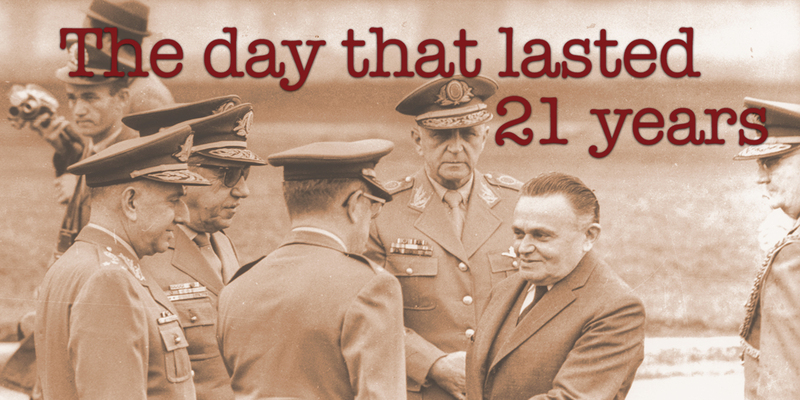 The Day that Lasted 21 Years reveals how and why the United States supported a conspiracy to overthrow the Brazilian elected President Joao Goulart in 1964. Forty-five years later, Top Secret CIA and White House Telegrams reveal how United States Ambassador Lincoln Gordon acted behind the scenes to plan the longest military dictatorships of South America, which lasted until 1985, with the support of Presidents John F. Kennedy and Lyndon Johnson. 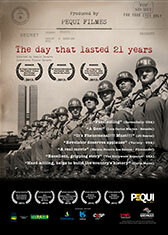 The documentary was written by journalist Flavio Tavares; an ex-political prisoner who was arrested during the military dictatorship and recovered his freedom in exchange for the life of United States Ambassador Charles Burke Elbrick. Camilo Tavares was born in exile in México city in 1971. He lived his childhood during Brazil’s military dictatorship. His father is journalist Flavio Tavares, one of the 15 political prisoners, exchanged for U.S. Ambassador Charles Burke Elbrick, who was kidnapped in 1969 by the Revolutionary Movement 8th October (MR-8). Owner of Pequi Filmes in São Paulo, Camilo specializes in historical, social, and environmental issues. His documentaries and series have screened on TV Globo, TV Brasil, TV Cultura, and other Brazilian networks. I have a personal interest in this subject, as my father journalist Flavio Tavares was one of 15 political prisoners exchanged for Charles Burke Elbrick, the U.S. Ambassador to Brazil in 1969. This happened at the height of the military dictatorship in Brazil, where civilians were arrested, tortured, and murdered for disagreeing publicly of government regulations. In my life there has always been a gap too large with respect to my past and the history of my country, and I needed to understand what really led Brazil to suspend democracy for 21 years. This film was made by a thorough research that lasted about 3 years. We managed to get rich historical material, including original documents and recordings by Presidents J.F. Kennedy and L. Johnson, recorded in the living room of the U.S. presidency in the White House. 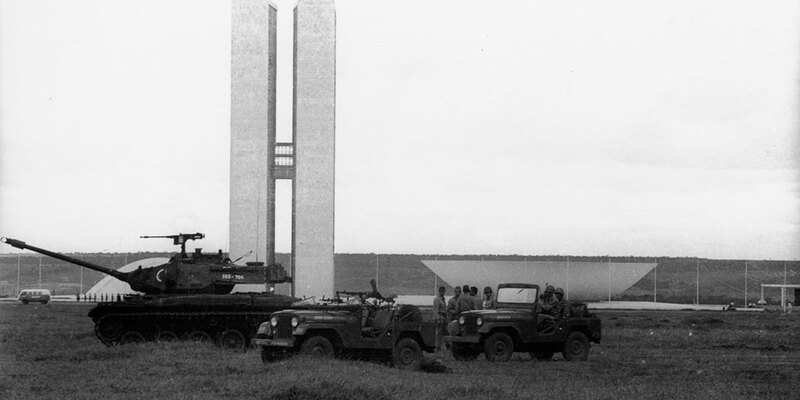 Through meticulous and hard work, we managed to reassemble the puzzle of facts and understand the process that triggered the 1964 military coup and the dictatorial government that lasted 21 years in Brazil.